Dark Seas was the second company founded by the longtime Zero/Mystery pro Adrian Lopez. Dark Seas is essentially a sister company to Loser Machine, and their products often have the same rebellious attitude. They usually have a nautical or beach theme to them as well. This skate brand is a no-holds-barred label with tons of personality. Find the perfect skate shoes and the right skateboard for you in our online shop! 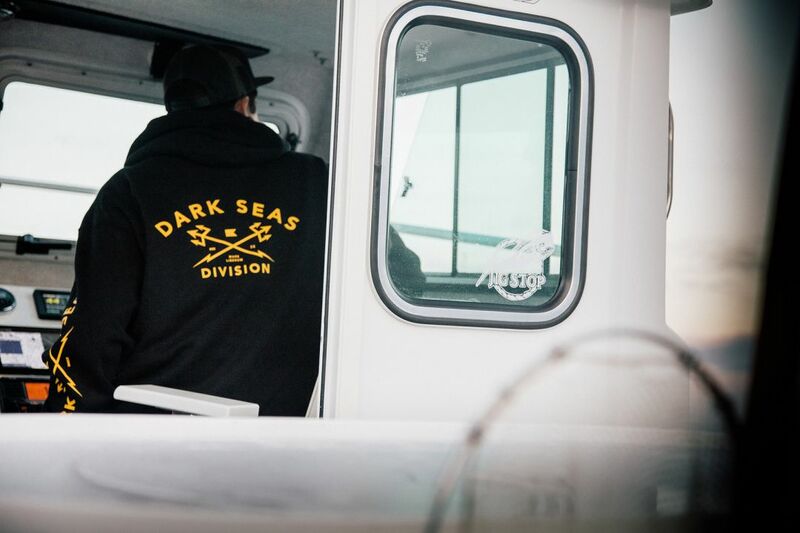 Dark Seas streetwear has a classic look which is very graphic-heavy. Neptune’s trident, anchors, fish, krakens and mermaids are all common “nautical” themes. Dark, powerful stuff - just like you’d expect from a brand called “Dark Seas”!